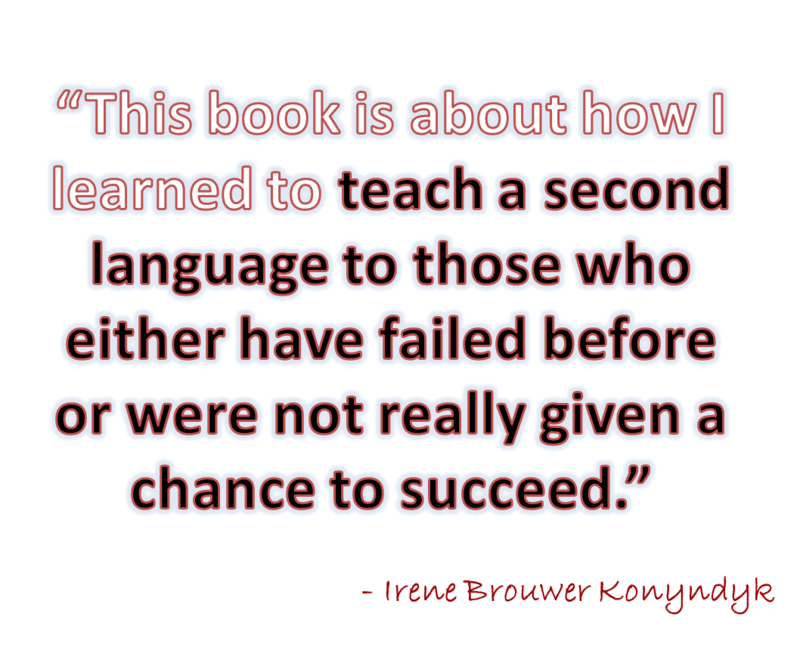 Foreign Languages for Everyone: How I Learned to Teach Second Languages to Students with Learning Disabilities by Irene Brouwer Konyndyk was published in 2011. This is a book I hadn't heard a lot about but rather which I stumbled upon in my online forays into quality professional resources I could read myself and recommend to others who were struggling in their roles as French Teachers. I was excited in reading over Irene's website and decided to email her. She graciously sent me a copy to read myself as well as one to give away. Foreign Languages for Everyone is a practical, easy read. You know you're reading something a fellow teacher wrote, even though it's got loads of references and a great glossary at the back of the resource. Its focus is on including all learners in the joys of learning French (or another second language) but considering how to program for those who learn differently. Ms Konyndyk is a college-level professor of second languages. I found myself firmly underlining the second line of her preface. Maybe the adjective I ought to use is "angrily" - an emotion not directed at the author or the book, but at my experience with the system of second language teaching in Ontario. So many times, students were exempted from my Core French classes (which are mandatory in this province!) and felt like I'd somehow failed them or that the system didn't have enough faith in me as an FSL teaching professional. Ms Konyndyk's approach is not high-tech, but that's a positive thing. There's nothing about how some latest and greatest technology is going to make such a difference and capture the students' attention. If you have limited or no access to technology, no problem. And if you do, great - just incorporate it where it makes sense to augment your program further. Her student intake form is the longest one I've seen, and in a regular classroom, I might think that was a problem but it makes total sense in this situation. When you have a group of learners who learn differently, and who come to you with a history of difficult learning experiences, it just makes sense to get to know them as thoroughly as you can. Did I not just describe 75% or more of intermediate grade Core French classes? You should check out this resource as a different way of looking at meeting the needs of our exceptional learners, including those with multiple LDs, autism or other challenges. Be sure to enter my giveaway just for French teachers now. 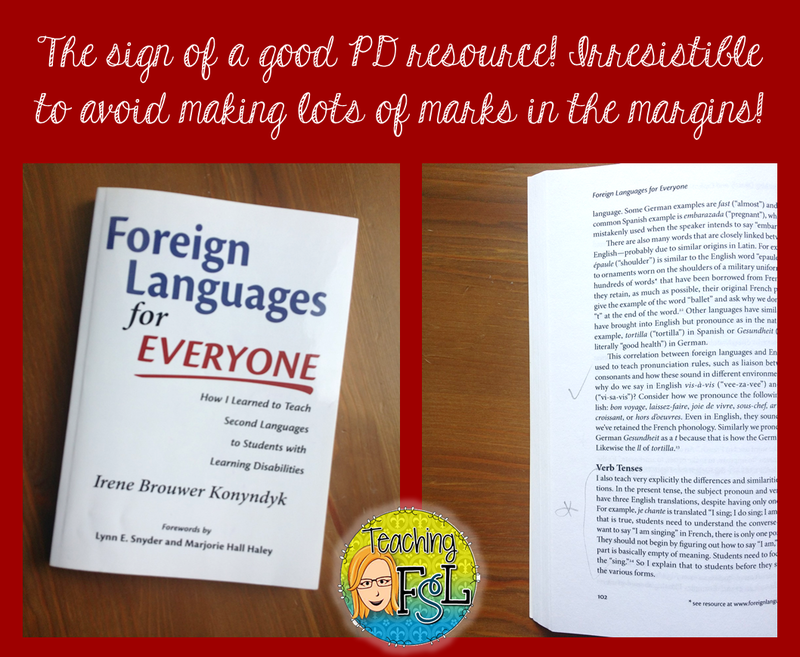 One of the prizes is a signed copy of this PD resource!